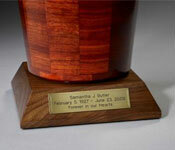 Our Flower Petal Line of custom wood urns showcases the beauty of nature. 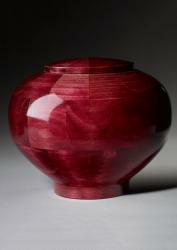 The Peony Black cremation urn features a bold color that will be a striking memorial to the departed. 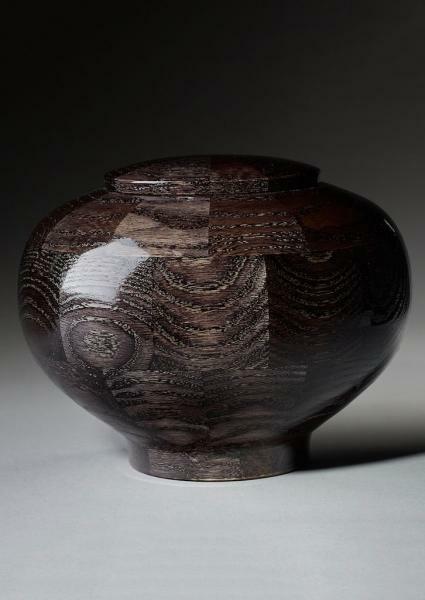 After hand turning the urn, Steve Shannon dyes the urn a rich black that accentuates the individual wood grains and patterns. 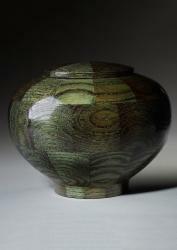 Peony Black urns come in keepsake, small, and large sizes. Urn jewelry available at Etsy Charmed Wife Shop. 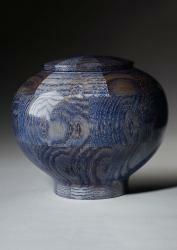 Hi Steve - I received the urn today and I just want to say that it is truly amazing. I couldn't be happier with how it turned out. 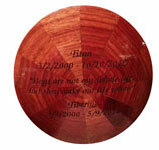 I would like to thank you and your wife Anna for helping memorialize my Boston Terrier Patrick in a very special way. Truly amazing. Thank you. Chris, San Diego, CA.